The PP 2e Phono Preamplifier offers superb performance in a clean and simple package for a very reasonable cost. Perfect for the budget-conscious audiophile, the PP 2e's moving coil/moving magnet input selector provides different phono cartridge options. Our PP 2e is incredibly easy-to-use and is certain to bring years of enjoyment to any lover of vinyl LPs. The PP 2e's Auto Power Down feature saves energy by automatically powering the PP 2e to OFF when not in use. 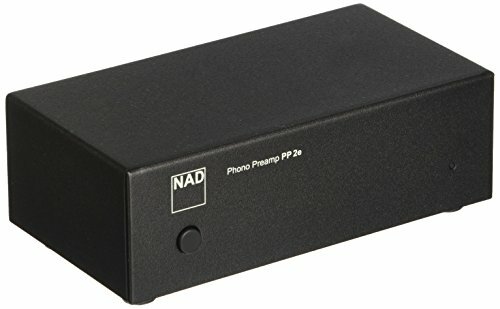 If you have any questions about this product by Nad, contact us by completing and submitting the form below. If you are looking for a specif part number, please include it with your message.